Financing will be used to support its democratization of the Internet of Things. Helios Wire is pleased to announce that it has raised an additional USD$4 million in financing to help facilitate the launch of its first two satellites. These funds will be allocated towards the development of the satellite-based IoT system that Helios is building. “We’re extremely pleased with the level of investor interest in Helios Wire’s mission. The funds from this round of financing will be put towards the launch of our first satellite this Christmas, as well as the two other satellites scheduled to be launched during the second half of 2018,” explains Scott Larson, CEO and Co-founder of Helios Wire. The Boston Consulting Group has predicted that $267B will be spent on IoT technologies, products, and services by 2020. Already, IoT is improving operations, but small and medium-sized companies have yet to fully capitalize. “Today, Industrial IoT is frequently considered to be costly, inaccessible, and best suited for larger, international organizations; but that won’t always be the case,” says Larson. With increased affordability of IoT, data generation and predictive analytics — powered by artificial intelligence technologies similar to those provided by Helios — companies large and small can benefit from what’s already becoming an industrial revolution. “For instance, a small-scale farmer will be able to use Helios Wire’s economical IoT service to optimally manage a handful of fields. As well, multinational shipping corporations and exporter-importers will be able to optimize fleets and shipments,” Larson says. In June 2015, the McKinsey Global Institute reported that the potential economic impact of IoT would grow from $3.9 trillion to $11.1 trillion by 2025. By 2020, it’s anticipated that there will be as many as 30.7 billion trackers worldwide, though many of those trackers (via communications satellites) and bandwidth costs are prohibitively expensive. “For small-to-medium sized businesses, the Helios system would reduce capital and operational expenses and infrastructure costs, allowing for more rapid technological adoption,” says Larson. Applications requiring mid-latency data transmissions will remain the focus as the first two Helios satellites reach operation. 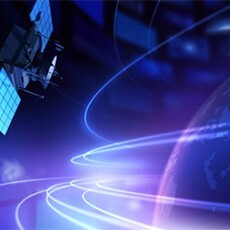 As subsequent satellites are launched, the system will offer increasingly lower latency data for near real-time monitoring. “For the purposes of agriculture, infrastructure, and some asset monitoring, 12-hour latency is more than enough to provide heightened analysis and optimization of processes,” explains Larson. For more information, visit www.helioswire.com.